Here at OBI we develop programs to fit your exact needs to reach your goals. Multiple projects and reports, juggling busy schedules, managing interruptions while trying to meet important deadlines. Sounds familiar? Constantly feeling overwhelmed can cause you to make costly mistakes or miss great opportunities. OBI Consulting Programs are designed for a busy person like you – the person who has no time to waste. 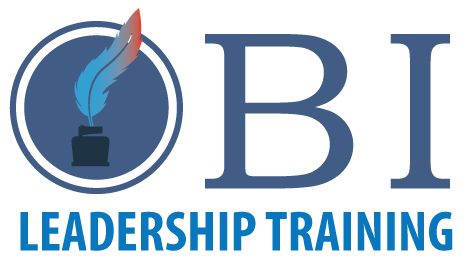 OBI Consulting and Leadership Development will provide the skills, strategies, and techniques you need to succeed at work as well as in your personal life. We develop programs to fit your exact needs to reach your goals. Or you can choose from our most requested consulting programs. Negotiation: tips on how to resolve daily stressful situations at work (and at home). Win/Win Agreements: practical techniques to reach mutual satisfactory agreements and build solid, valuable relationships. Bookkeeping: learn to keep accurate records, 1099- Misc. reporting, and much more. Financial Statements: how to analyze and evaluate the financial health of your company. Budgets and Job Cost: learn how to use this powerful and reliable tool to achieve your financial goals. Tax Strategies: find and act on legitimate tax opportunities; reduce your taxes – legally! Audits: Do’s and Don’ts before, during and after an audit. Be in control of your life — learn to organize, delegate and simplify. Networking: the art of being in the right place at the right time with the right people. Are you in life where you wanted to be? Your hopes and dreams are within your reach. You have within you the energy, talent and strength to succeed; just need the “know how” and the right tools to help you get there. With the right guidance you can achieve extraordinary results in business as well as personal. We can be your guide on the road to success. It’s time to reach for your dreams. Allow OBI to be your guide on the road to success.